Wow, we actually managed to do ten episodes. 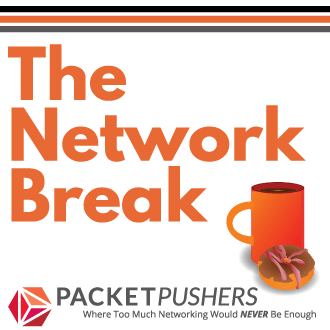 Jeremy Filliben, CCIE #3851 & CCDE #20090003 (@jfilliben) and Brandon Carroll, CCIE #23827 (@brandoncarroll) join the Prime Pushers for an hour-long round-table discussion of the week’s news. And if you missed Greg last week, he’s back – with rant mode decidedly ON. More on Cisco’s shipping and lead time woes, this time regarding the Catalyst 6500 platform and ASIC manufacturing challenges. At what point do network engineers stop waiting for Cisco and start looking seriously at other vendors who can deliver product quickly? Sun/Oracle unleashes a beast in the 10G top-of-rack space: a 72-port, 10G, non-blocking 1RU monster switch. Brandon and Jeremy were at CiscoLive in Las Vegas June 27 – July 1, 2010, and give us the low-down on the event, including the heart-to-heart chat John Chambers had with the NetVets. We talk about the newly announced iPad-wannabe Cisco Cius, and chew over the question we’re all wondering…how far can Cisco stray from their core competencies before it affects their business? Or has it already? We scratch our heads at the overly complicated interface of CiscoLiveVirtual, secretly wishing we could get paid to create something so obtuse. Twenty-somethings prefer open (read: “insecure”) computing environments in the workplace – more freedom to connect personal devices to the corporate network, etc. Do you? Do we? If you enjoy the show, please take a moment to write a review on iTunes. Help spread the word, and thanks! 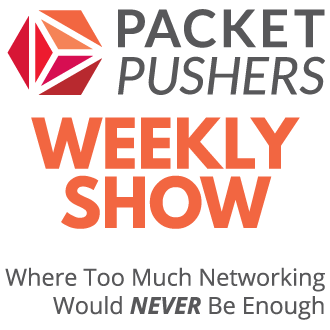 You can subscribe to the RSS feed or download the MP3 directly from Packet Pushers website.